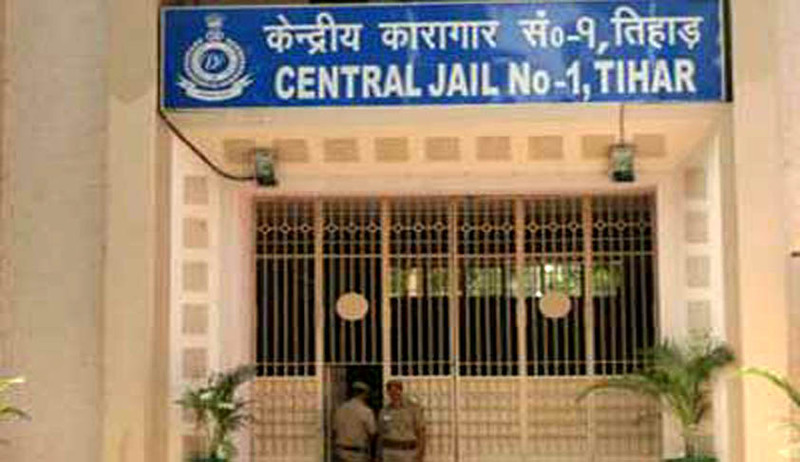 The Central Information Commission directed the Tihar Jail authorities to give ‘release related’ information to undertrial prisoners to enable them to be released. In a second appeal filed by Ms Divya Iyer, the Information Commissioner Prof M Sridhar Acharyulu stated that it was the constitutional responsibility and statutory obligation of the Governments to review each case of under-trial prisoner and take appropriate action including release of the prisoner and inform the prisoners concerned and the concerned authorities. Prof Acharyulu also directed the Home Department to issue directives to all Jail authorities to prepare the list of under-trial prisoners supposed to be released from time to time at least for every quarter, informing the fact of their release. Any such release of under-trial prisoner cannot be delayed for the sake of report or publication of information. Divya Iyer sought information regarding steps taken by the Home Department, Government of India towards the implementation of the Central Directive No. V-13013/70/2012-IS (VI) dated 17.01.2013 issued by Government of India Ministry of Home Affairs to the Home Secretaries to all States. CIC observed: Information sought is concerning a very important matter of public interest, which engaged the Supreme Court, Legislature, Executive and the Law Commission since a long time. The Home Ministry requested the State Governments and Union Territories to adopt various measures to reduce overcrowding of prisons. The Parliament by Act 25 of 2005 amended Code of Criminal Procedure, 1973 providing for maximum period for which an under-trial prisoner can be detained under any law not being an offence for which the punishment of death has been specified one of the punishments. In a related case Supreme Court was informed that there are about 3.81 lakh prisoners across the country out of which about 2.54 lakh are under-trials. It was hoped that this order will bring relief to lakhs of prisoners who are poor and languishing in the jail in petty cases as they are not able to pay sureties and bail bonds to get out of jail. The bench was told that in many cases the accused have spent more time in jail than the actual sentence which might be awarded to him or her in case of conviction. On 18th May 2015, a Social Justice Bench of Justices Madan B. Lokur and U.U. Lalit noted that 67 per cent of those lodged in the prisons in the country are under-trials who are too poor to get bail, the Supreme Court has. The apex court explained this duty to review and release in Bhim Singh case. The CIC Acharyulu added another duty- the duty to inform also to the authorities, which will facilitate the release, or enable prisoner or any other person to demand release based on information made available. CIC Acharyulu found it necessary and appropriate for the Under-trial Review Committee to issue necessary instructions to provide the release-related-information to the concerned from time to time for effective implementation of Section 436A of Criminal Procedure Code and directions of the Supreme Court. Even a single day delay in release of under-trial prisoners, who are entitled to such release as per Section 436A, will amount to serious violation of their right to life under Article 21 of Constitution. For this violation no amount of compensation would be sufficient. Hence, there is a strong need to prevent breach of Article 21 by implementing Section 436A. Sridhar Acharyulu directs the authorities of Tihar Jail and Rohini Jail, to provide a) latest status on the implementation of the Central directive dated 17-1-2015, and b) proposed list of prisoners to be released and other possible consequences like review committee meetings, etc within 20 days from the date of receipt of this order to the appellant, which shall also be disclosed under Section 4(1)(b) of RTI Act in their official website. The respondent authority has to prepare FAQs on this subject and upload the same into the official website within one month from the date of receipt of this order, to facilitate the under-trial prisoners to seek release on bail as per Section 436A of CrPC and judicial orders.